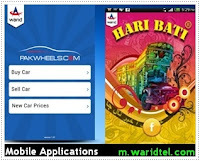 Warid, in collaboration with Train of Thought (Pvt) Ltd. and PakWheels.com, brings two mobile apps, for its customers. These two mobile applications are Hari Bati App and Pak Wheels App. 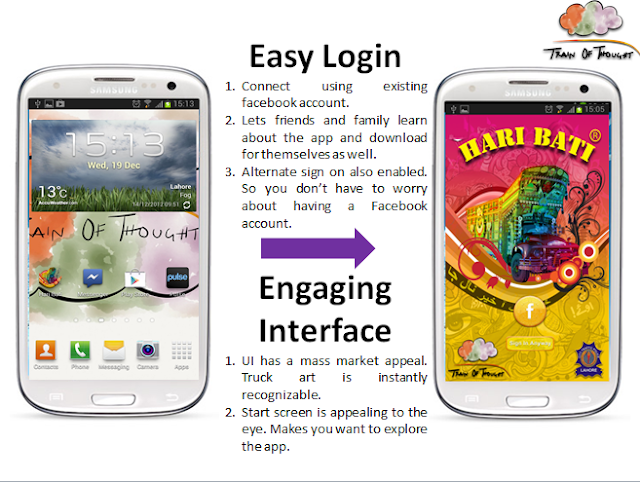 Hari Bati Android application is powered by Train of Thoughts (PVT) Ltd. Train of Thought is a Pakistani technology start-up focusing on developing and marketing proprietary technological solutions. 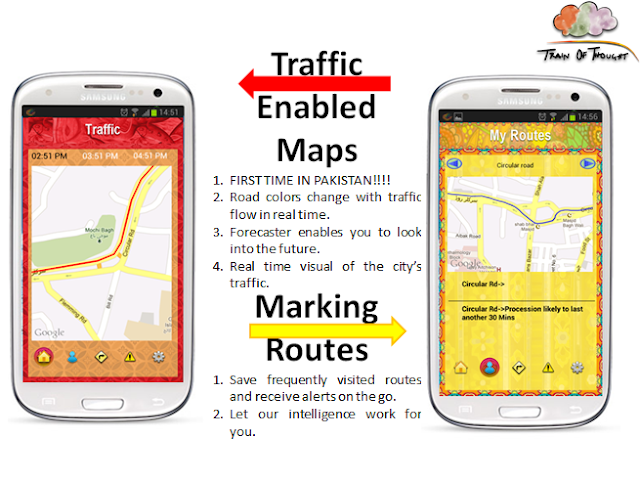 Hari Bati is Pakistan's first and only full service traffic application. Based on the colorful truck art of Pakistan, the application offers a variety of exciting features which will make your daily commute faster, safer and much more fun. Pak Wheels Android application is powered by PakWheels.com. 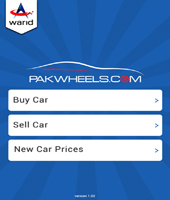 PakWheels.com is the largest community based automobile website in Pakistan with more than 150,000+ registered car and motorcycle enthusiasts. Both Android Applications are available exclusively for Warid customers. Ever get tired of being stuck in traffic ? Say goodbye to all traffic jams and get the green light where ever you go. Warid introduces a first of its kind application to give you constant traffic alerts, map interface and route planning facility all in one application. Users can now be a part of the alert system and also report on various road and traffic congestions. 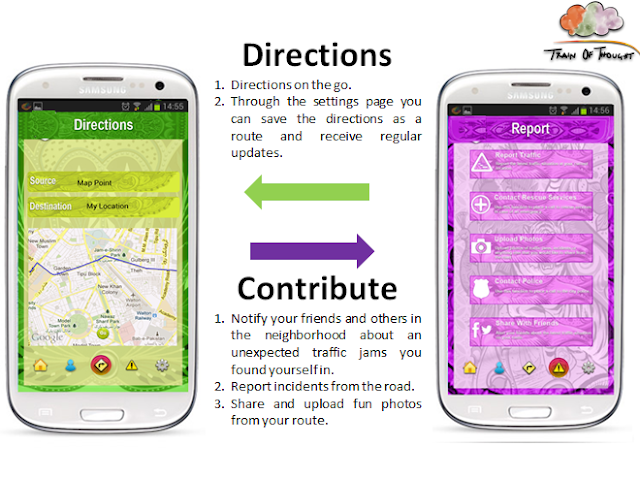 The application is fully integrated with Facebook so you can also become aware of the events on the road. Convenience login, which allows standard login features and users can connect through their existing social network account. 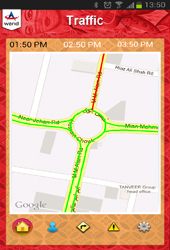 Map interface provides the user with information about the traffic situation in Lahore, with the added facility to forecast traffic for the next 2 hours. Traffic prediction algorithm is an in-built part of the application which works on historical traffic data to work out future conditions. Users can manage efficient route planning to save time and distance. 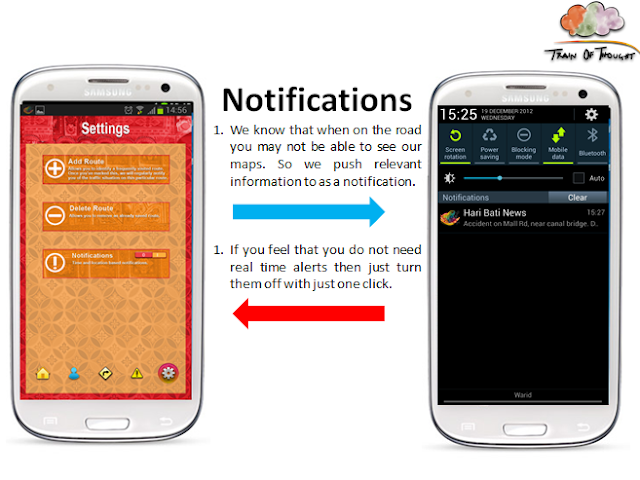 Get instant notifications about jams and traffic congestion points. Users can upload pictures of traffic jams to provide real time updates. Call emergency services 1122 and 15 and Motorway Police 130 through the in-app call feature. HariBati application is for Lahore only. This application is available for all Android based (Version 2.1 and above) mobile phones. To download, please visit http://m.waridtel.com from your Warid mobile. Thinking of buying or selling a car ? Warid brings you an exclusive mobile application in partnership with Pak Wheels for a quick and easy access to Pakistan’s best online car portal on the go! Navigate through one of the most comprehensive databases with ease. Fine tune your search results through accessible filters (City, Make, Model, Price Range, Type of fuel). Post your car for sale and upload your car pictures directly from your mobile. Call the buyer with in-app call feature. Email the buyer with in-app email feature. Look at the price list of new cars. Upload picture of your car directly through the app and post for sale. Applications are only downloadable through Warid GPRS. Kindly disable Wifi to download the apps.